In spring 2017, I took Professor Ashley Holmes’s graduate course on Public Rhetoric and Social Media and Activism from the English Department and Professor Akinyele Umoja’s graduate course African American Social Movements from the African American Studies/Sociology Departments. I thought about how beneficial an interdisciplinary approach in academia could be helpful in my pursuit of my Ph.D. program. I made a decision in my studies to take some courses outside of my department to help me develop stronger research questions on how social media and social movements through the internet have now shaped and affected us as students, staff and faculty at Georgia State University. As SIF Fellows this year, we are charged to help faculty and community members with technology projects that help the success of teaching and learning and the integration of urban issues in the greater Atlanta community. 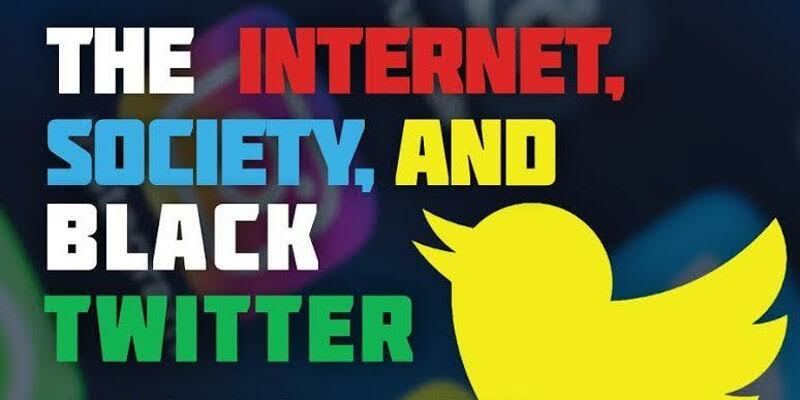 In the summer months, I decided with members of my student chartered organization, Greatest MINDS Society at GSU, to develop a conference/symposium entitled Internet Society and Black Twitter focusing on such topics. I was really excited about the possibilities that many different generations can learn from each other at Georgia State University. I wanted to create this day long symposium and a space where we can talk about the internet, society and what constitutes local community and the public sphere. The whole day was structured around discussing topics and best practices relating to engaging individuals on the world wide web/internet. Over four hundred students participated in this symposium from 9am to 9pm at the GSU Student Center on Thursday, November 30th. Our day started up with a community discussion with Professor Ashley Holmes, and fellow SIF member and Ph.D. candidate Ashley McNeil on the way that technology has refocused our attention on exploration and learning across the globe. We opened with an informal discussion about the Internet, Society and what that means as a mode of communication in the public sphere and how it connects people across space and place and how it is a new form of “creativity and innovation” for people to utilize. Also, we heard updates from representatives from three of Georgia State University’s newest institutes and programs – the new Creative Media Industries Institute, the new GSU Entrepreneurship and Innovation Institute and GSU Student Innovation Fellowship Program (SIF). Dr. Richard Welke, Director of the Entrepreneurship and Innovations and former Chair of the CIS Department at Georgia State University shared during this session on how you can utilize these resources to get an internship, take classes, start your own project/company and enhance career goals and networking opportunities. Several SIF students and several staff members were on hand to talk about their experiences at Georgia State University. Along with local social media entrepreneurs Amanda, Chidiebere Kalu, Co-founder LookLive, Fenella Like Whoa, Founder Like Whoa Company, and Maada Jawa Thomas who recently held a Black Millennial Summit in Atlanta, several SIF members shared their experiences with developing applications and websites for SIF clients. Parts of the day also focused on technical skills on representing your brand on the internet. Ms. Terry Coniglio, GSU’s Director of Content Strategy, Marketing and Communications Department, provided a seminar during the lunch session on the Do’s and Don’ts of Developing your Online Presence & Brand Utilizing the Social Media through Facebook, LinkedIn and Twitter. We even had a SIF presentation of 3D Atlanta that includes visual representation of the Underground Mall in the 1950’s and the historic Manuel’s Tavern in the Highland neighborhood in Atlanta. This presentation also highlighted the work of Georgia State’s University students in collaboration with community based partners. Most enjoyed our conference sessions ranging from President Trump and His Tweets and their Impact on Society, Black Twitter, Black Media and Black Lives Matter, How to utilize the platforms of ICollege and OrgSync at Georgia State University more effectively as teachers and students, and discussions about free speech/hate speech, student campus conduct and online deviance in collaboration with the Dean of Student Office and the Student Judicial Board. This conference would have not been possible without the support of the Center for Excellence in Teaching and Learning Community Programs Department, Student Government Association’s Co-Sponsorship Fund and the Student Center Programming Fund. 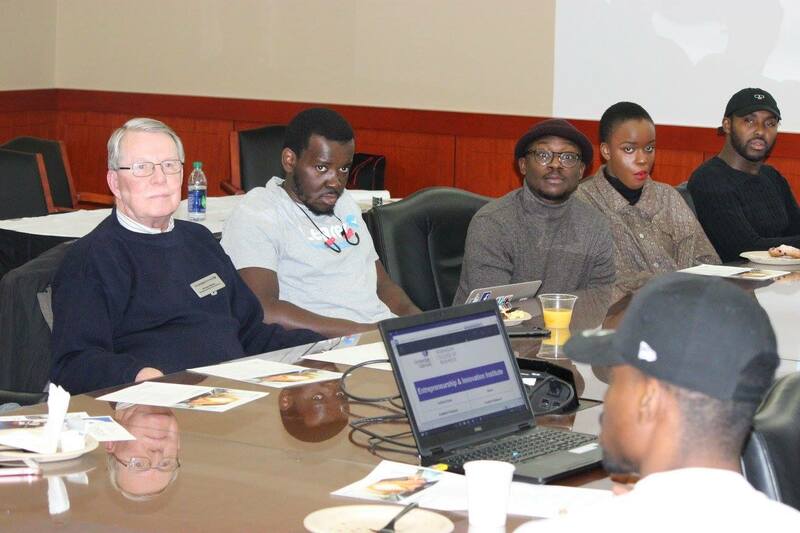 Other funding was provided by the Greatest MINDS Society, National Association of Black Journalists – GSU Chapter, Department of Sociology, Department of African American Studies, Office of Black Student Achievement and the Multicultural Office. 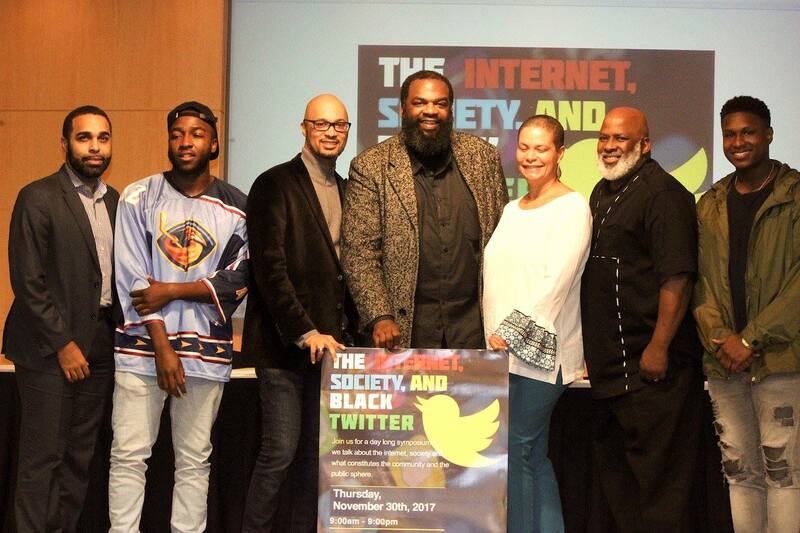 With the success of this symposium, I plan to look at new ways to continually engage our GSU community on how to more effectively utilize social media and the internet in our daily work and studies.